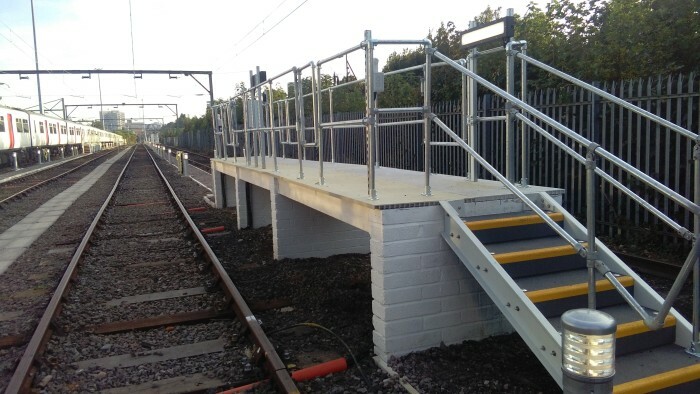 Another Well Delivered Project for Abellio Greater Anglia at Southend Victoria – North Sidings. 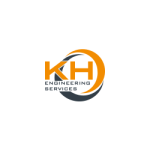 On time, with a very tight budget whilst accommodating numerous Client changes driven by unexpected existing services locations. 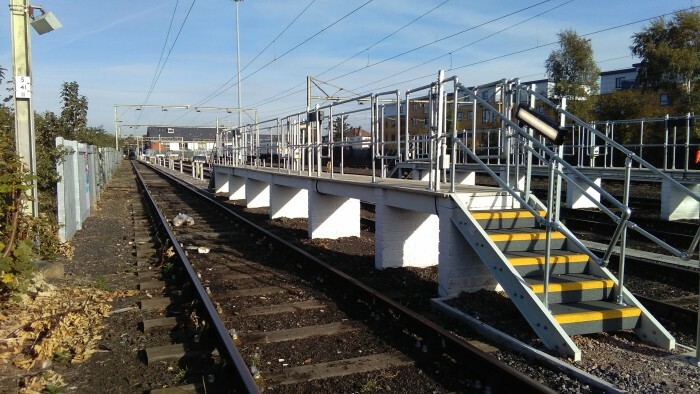 The project at Southend Victoria North Down Sidings was to design and install new walking routes to run between roads 1-2 and 3-4 along with 8 number platforms, 4 each side with power and lighting for the EDC cleaning facilities for when the impending Crossrail Ilford depot blockage comes into force. 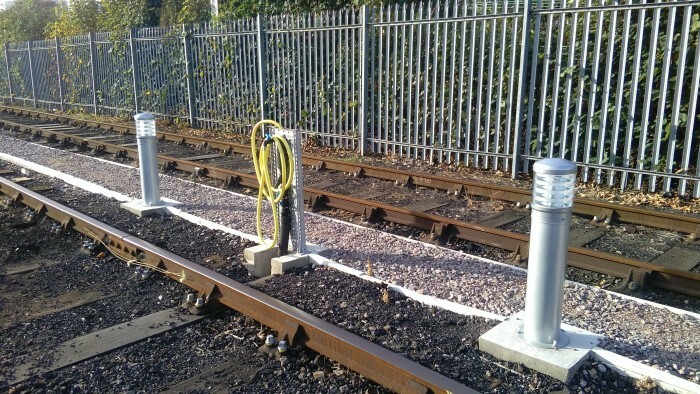 Each road comprises of 32 bollards to illuminate the new walking routes and 9 watering posts in order to wash the train. 4 Nr platforms have an 110v power source and adequate lighting depending on the length of the platform. We have installed LED bollard lighting on the new walking route behind the buffer stops that leads to the roads and to the Prittlewell gated entrance/exit. All lighting on the project is controlled by PIR’s to prevent lighting pollution. All services are fed from the new hardstand located behind buffer stop 10, this includes a new feeder pillar, new water tank and new pump set. 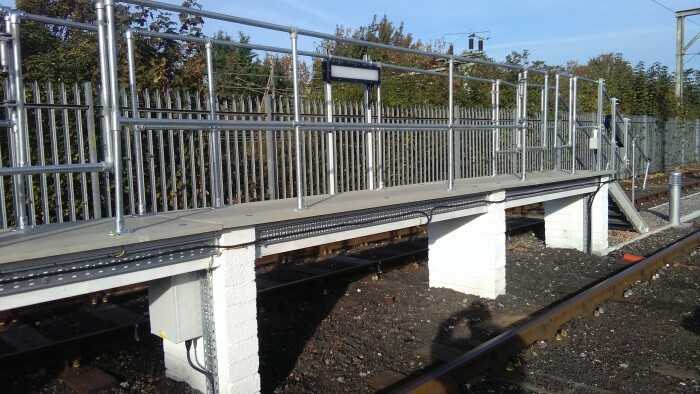 There has also been a new chemical storage hut to house all cleaning products and associated equipment needed to carry out the works to clean the trains. Within the chemical storage hut there is a sink with cold water supplied, PIR controlled lighting both internally and externally. 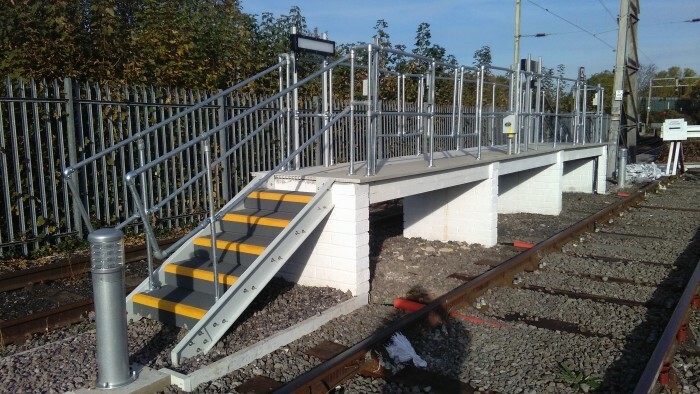 The existing pathways were widened to accommodate the trolleys being used to ferry all of the equipment to the platforms and an extra hard stand has been installed for the rubbish retrieved from the trains. Please see our project photos below.